What is wrong with this student of mine? He just moved to the most fantastic international school in the world (mine) and he just seems to be lost and flailing about. Well, I guess that is just a teenager for you. I don’t want to admit I have made that exact statement, but maybe I have had a similar thought or two to explain the behavior of students, both new and not new, at the beginning of the year. Well, as you are about to hear today, the behavior we are seeing may have a much deeper rooting and explanation. Doctorandus Doug Ota talks about the emotional activities that are happening in our brains when we depart one location and move to another. Or when we are living in one place and our friends depart from us.This disruption to our attachment systems (a new concept for me) has a direct, and not so positive impact, on our ability to focus on learning. 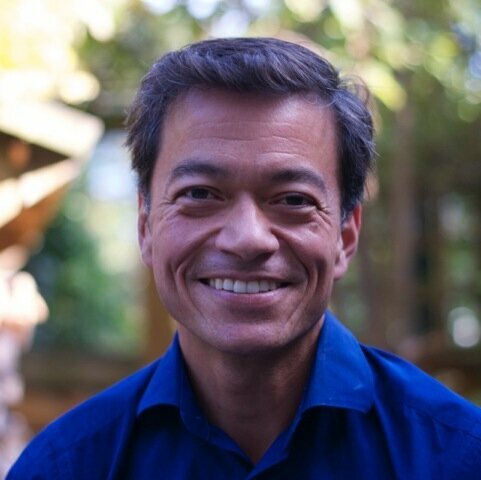 Douglas Ota is a psychologist in private practice in the Hague, Netherlands and a consultant to international schools worldwide. He has twenty-five years of experience addressing the psychological challenges of mobility in the international school arena.